PARO,BHUTAN -MARCH 21, 2008: A masked Bhutanese dancer performs at the annual Paro Tsechu festival March 21, 2008 in Paro, Bhutan. 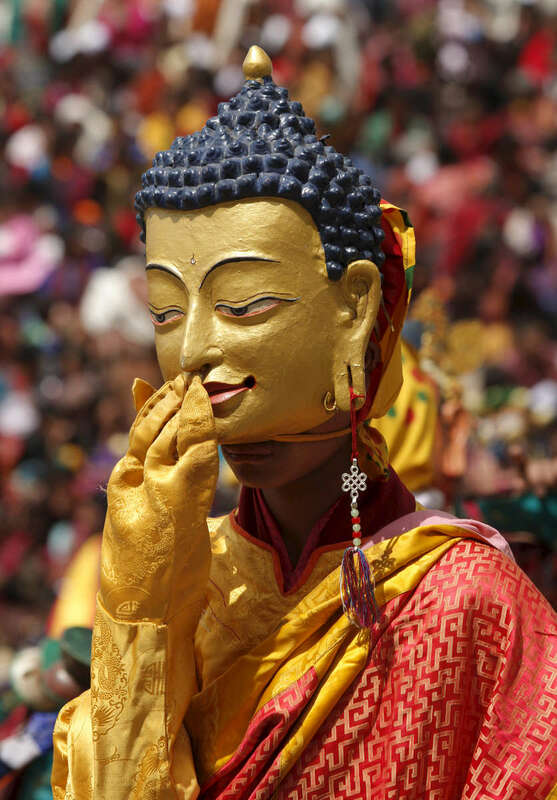 The festival is a religious one serving as the largest social gathering for the area, celebrating the memory of Guru Padmasambhava depicting key episodes of his life. The Bhutanese tsechu ( religious festival) was established back in the sixteenth century and has become a major tourist attraction in Bhutan. The religious dances are called chhams and are performed by monks as well as lay people. The 5 day festival comes just before Bhutan is set to become the world's newest democracy on the eve of a national election moving Bhutan from a monarchy to a democracy.